U-Pick Offerings - Agroponic Industries Ltd.
Our U-pick area has been evolving since 2011 season. 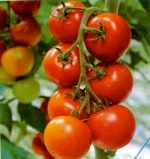 We offer both U pick and pre-picked berries, fruits and tomatoes. For our outdoor crops the harvest is very weather and season dependent. We strongly suggest to call us a day or two ahead so that we can let you know the availability at this time. We do accept bookings in advance and shall reserve portions of the patches for your use. For those wishing to have product pre-picked for your pick-up please place orders in advance. U – Pick days are Tuesdays, Thursdays and Saturdays. July is the start of the strawberry season. Our U-pick patch contains five types of June and Ever bearing strawberries. In 2013 we doubled up on our strawberry section. All aisles between our rows of strawberries are grassed in. This provides a clean and easy to pick area even after heavy rainfalls. 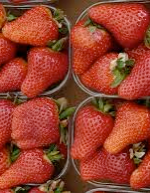 Nothing beats the taste of freshly picked strawberries and our season can extend well into October. Our raspberry patch is comprised of five types of raspberries. 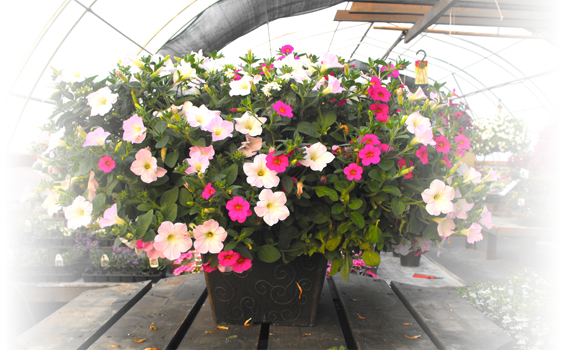 All are very appealing and help lengthen the season. 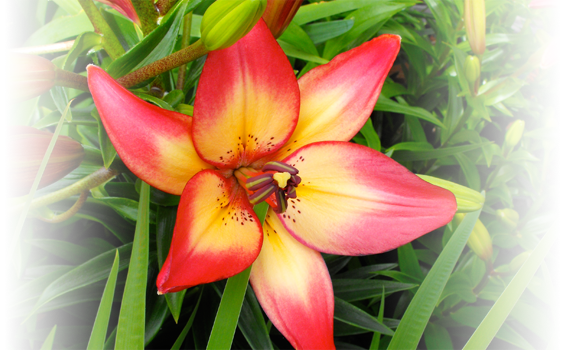 Varieties include: Boyne ( Early season red ), Killarney ( Mid season red ), Polka ( Ever bearing/Late Season Red ), Royalty Purple, and Anne ( Yellow for summer and fall enjoyment ). Watermelon season begins mid Aug to Sept depending on the season. Most folks cannot believe their eyes when they enter our production house and see fresh watermelons on the vines. Folks there is nothing grander than enjoying a sweet juicy watermelon. I must tell the truth. I confess. I do my fair share of sampling. We raise two type of watermelons these are “Sugar Baby” which are early nice round sweet watermelons and “Sweet Flavor” which are super sweet and juicy obliques. 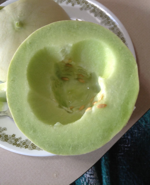 Honeydew and cantaloupe season begins the beginning of August to September depending on the season. We raise Dream Honey Dews, Halona Dews ( a cross between a dew and a cantoloupe ), cantaloupes and muskmelons. They are a thrill to visit in the greenhouse, you can almost see them growing. 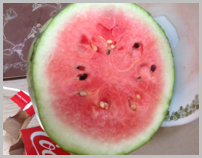 Nothing better except possibly a watermelon than a fresh vine ripe dew or cantaloupe to snack on. Hascaps are also known as “Blue Honeysuckle, Honey Berry, Edible Honeysuckles. These plants produce a fabulous tasting fruit that is hard to describe. Some say it tastes like a cross between a raspberry and blueberry, but we feel that it is truly unique. It has been proven that there are several health benefits to those who consume this berry. Haskap berries are high in vitamin C and a great source of antioxidants. Haskaps are early producers ( middle to end of June ). So come early in the season for quantities are quite limited. 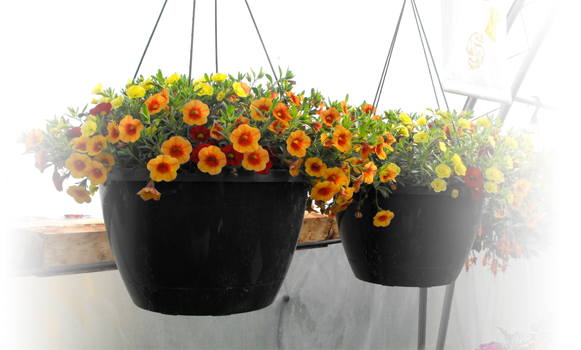 All of our tomatoes are raised in our greenhouses after the bedding plant season has passed. We generally offer several varieties of grape/cherry tomatoes in reds, yellows and oranges and several slicing tomatoes of various sizes and differing yield dates and for those salsa and sauces a good selection of paste type tomatoes. Depending on the variety the season for tomatoes runs from middle of Aug to the end of October ( season dependent ). In the 2015 season we shall be increasing our tomato offerings from the great 2014 season.